Celerity is well experienced working with the NHS and other healthcare organisations to shape a more patient-centric health system by using advanced technology to generate and share accurate information in real-time. The need to invest in infrastructure and cloud-based services to support not only the technological advancements and innovations within healthcare and the requirement to store every single record produced for an indefinite period could also have a dramatic impact on IT budgets if not managed intelligently. In addition, the strict and ever-changing laws around data protection, governance and compliance prove to be a constant management challenge to both systems and human resources. 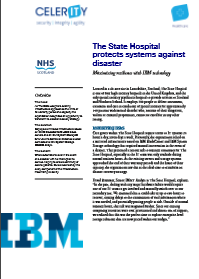 Pressures to reduce costs within the public healthcare sector have reached an all-time high. The need to drive increased value from investments has never been greater and this is especially true in terms of technology investment. 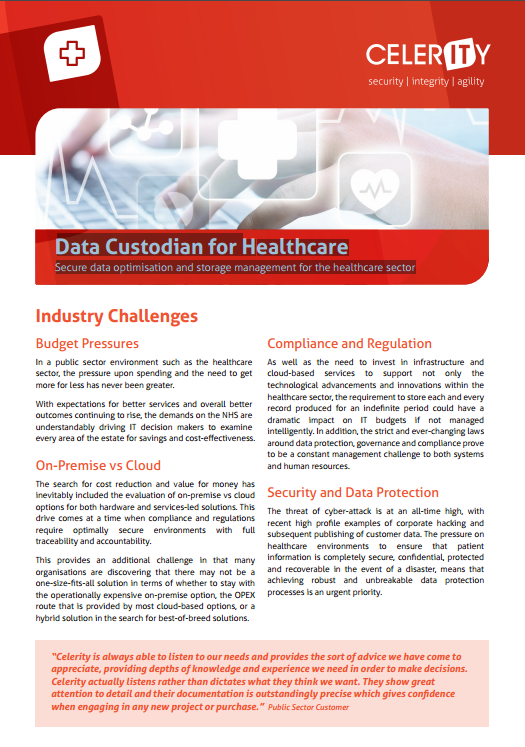 Secure data optimisation and storage management for the healthcare sector. 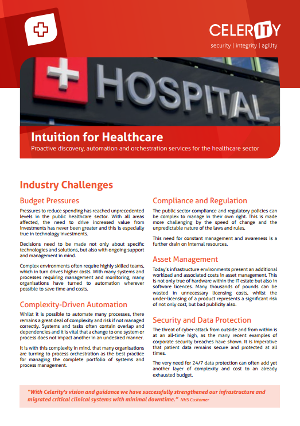 Proactive discovery, automation and orchestration services for the healthcare sector. 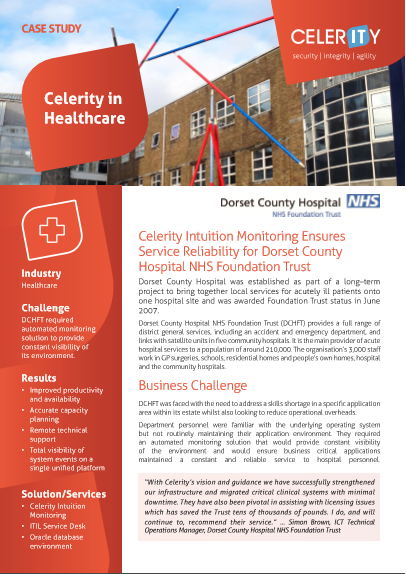 Celerity Intuition Monitoring Ensures Service Reliability for Dorset County Hospital, NHS Foundation Trust. DCHFT was faced with the need to address a skills shortage in a specific application area within its estate whilst also looking to reduce operational overheads.